Why is The Palestinian Boycott Targeting Palestinians? There are times to enforce rules. 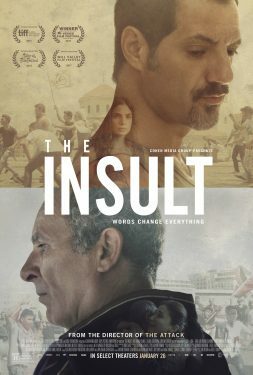 But no rules were actually broken in the making of Academy Award nominated film The Insult. Several weeks ago I received a Facebook posting from Kamel El Basha, a Palestinian friend who lives in East Jerusalem. It was a link to an article about a Lebanese film, The Insult, in which Kamel costarred. Kamel had won the best actor award at the 2017 Venice Film Festival! Kamel, more than anyone else, was responsible for the production and tour of my play Facts in Palestine. He read it and immediately announced that his company, the Palestinian National Theatre, would produce it; he translated it into Arabic; and he performed in it. And we became friends. It has been a few years since I’ve seen him, but I still feel close to Kamel and his family. I sent congratulations by email. A few days later, I heard back. The whole thing had turned into a nightmare. The film had been banished from the Days of Cinema festival in Ramallah in the West Bank. From various sources, I’ve put together the story. The director, Ziad Doueiri, had made a previous film in Israel, which apparently broke the rules of BDS. The new film was shot in Lebanon, with no Israeli support, but Doueiri had not acknowledged or apologized for his earlier transgression. I agree. There are times to enforce rules. But no rules were actually broken in the making of The Insult. Then Kamel told me about The Reports on Sarah and Saleem, a Palestinian film directed by Muayad Alayan. Now touring international festivals, the film won the Hubert Bals Fund Audience Award at International Film Festival Rotterdam. Organizers of the Haifa Independent Film Festival, which features Palestinian and Arab films, decided not to include The Reports on Sarah and Saleem “after the BDS movement decided it had violated one of its principles when (Alayan) cast two Israeli actors.”5 Presumably hiring Jewish Israelis is evidence of a normalizing approach. I support boycotting Israel — not only the settlements — and I support the boycott of Israeli sporting, cultural and academic institutions. The occupation is now 50 years old and Israel has proven itself unwilling to negotiate in good faith. Boycotts are nonviolent, and if the international community is unwilling to control the Jewish state that it created, it falls to the public to do something. But I’ve been a reluctant supporter of BDS. I’ve tended, in my own private code, to write that I support “bds.” My problem has been the BDS demands, which I find complicated and vague. What is meant by “all Arab lands”? What if Israel were to build the wall to its own side of the green line? What does UN resolution 194 actually require? It was adopted in 1948. Would Israel comply if it accepted the right of return for those still alive who were forced out of Palestine/Israel, but not their descendants? While there’s an obvious logic in having a demand for each of the main Palestinian groups — those in the occupied territories, Palestinian citizens of Israel, and refugees in other countries — isn’t three demands a little cumbersome? According to its website, BDS was “inspired by the South African anti-apartheid movement.” I participated in several demonstrations in front of the South African embassy in Ottawa, and I boycotted South African wine and oranges. I knew, too, that we called for sanctions against South Africa — as when Prime Minister John Diefenbaker forced South Africa from the Commonwealth in 1961, or when South Africa was expelled from the International Olympic Committee in 1970. I remember that we objected to South Africa’s interference in South West Africa (now Namibia) and Angola. But so far as I remember, the only demand was an end to apartheid, which I would have described as people having different rights based on race or colour. I checked with a friend who in the 1980s had been chair of a national “inter-agency anti-apartheid co-ordinating committee,” with representatives from various Canadian third world development groups like Oxfam and CUSO. I was correct, my friend said. The boycott had one demand: an end to apartheid. The Palestinian situation is more complicated than was South Africa’s. There were no equivalents to the refugees or occupation. And although a case can be made that Palestinians in Israel live under an apartheid system, the most obvious elements are absent: Palestinians vote; they are members of the Knesset. You can even find an occasional Palestinian judge. The BDS demands would benefit from simplification and clarity. The more demands you have, the more there is for people to object to. If I had to make the demands as simple and clear as possible, I would suggest: “End the occupation/End the blockade.” The logic is this: First, there will be no peace until Israel accepts that it does not get to keep the territories, just as South Africa had to accept that it would not get to keep apartheid. Second, in my 28 years of arguing for Palestinian rights, ending the occupation is the demand that people find easiest to understand and support. Boycotts ask for people’s help and are the tactics of the weak, not the powerful. Israel doesn’t need to boycott; it can blockade. If you have the power, you can make as many demands as you like. The boycott of Israel requires the active participation of liberals around the world, and liberals are wary of targeting Israel because, to paraphrase Edward Said and/or Pierre Bourdieu, the tragedy of the Palestinians is that they are the victims of the victims of Holocaust. The banning of The Insult and The Reports on Sarah and Saleem is the result of BDS complexity and vagueness, and a tendency among hardliners to enforce rules. Hardliners want to make the struggle deep rather than wide. Palestinian hardliners don’t have the power to enforce rules in Canada or Israel, so they enforce rules where they can — on Palestinians. Thus Palestinians, not Israel, become the target of BDS. 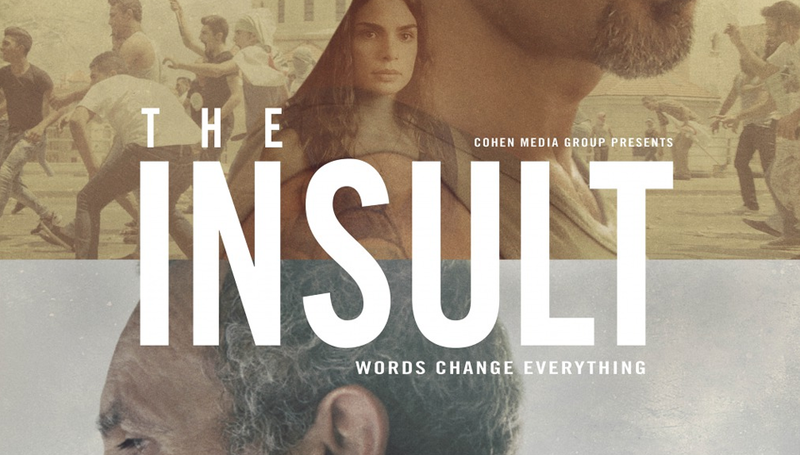 Meanwhile, The Insult — nominated for an Academy Award — is a seriously great film, and my friend Kamel’s performance is brilliant. Go see it. I hope his compatriots get to see it too.